Are you ready for doo-wop-tronica? THE SCENE: In 2003 Brooklyn duo TV On The Radio released their first EP Young Liars, a rich nugget of distorted instrumentation and crystal-clear vocals including a doo-wop remake of The Pixies “Mr. Grieves”. 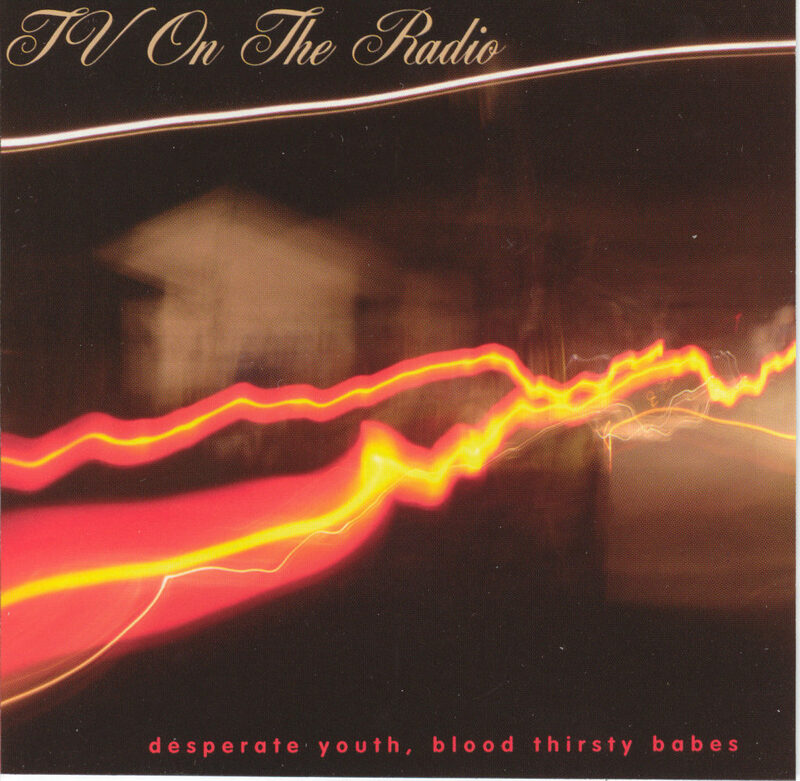 Energized by a fistful of nice reviews and a supportive record label they released their first full-length recording the following year, the even stranger Desperate Youth, Blood Thirsty Babes. The lyrical tone of urban alienation and disorientation is present in every song, yet it’s tempered with melancholia and flashes of fun. Even the first song “The Wrong Way”, which begins with what sounds like a CD player skipping over an electrical hum, turns into a happy sax-filled shuffle while still keeping the CD player skipping sound intact. The interdependence of warm, gospel voices and clinical, shadowy sounds is unique to TV On The Radio. THE FALLOUT: International critical acclaim. Opening gigs for The Pixies. A new album is in the works, as a sextet. Doo-wop-tronica lives on! NEXT WEEK: Funkadelic pretends to be Parliament and confuses the nation.